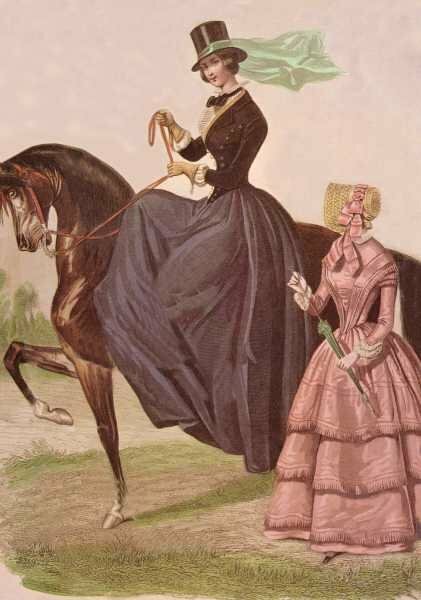 Since looking at all those images of top hats for a recent post, I can't stop thinking about lady tuxes. 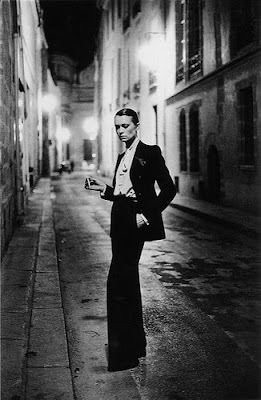 While I love making and wearing ultra-feminine and hyper-decorated hats, my personal taste in clothing tends to run in the Lady Tux direction- not normally feminine women's clothing, and not full man-drag, but somewhere in the middle. I like tend to go for formal, simple clothes with interesting lines but a minimum of pattern or surface decoration, and to save the flash for hats and other accessories. Here are some of my favorite images. 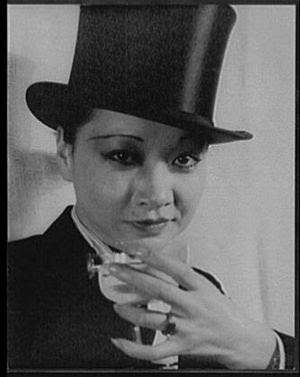 For a lady in menswear, you can't beat Marlene Dietrich. 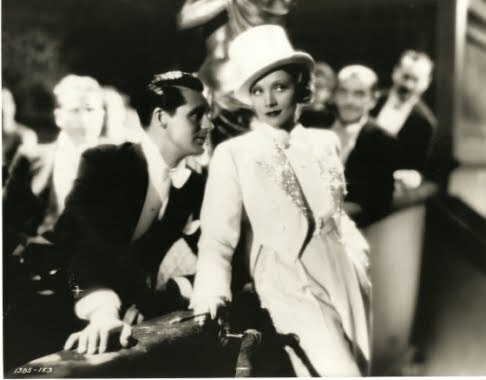 Marlene outshines Cary Grant in an all-white tux. 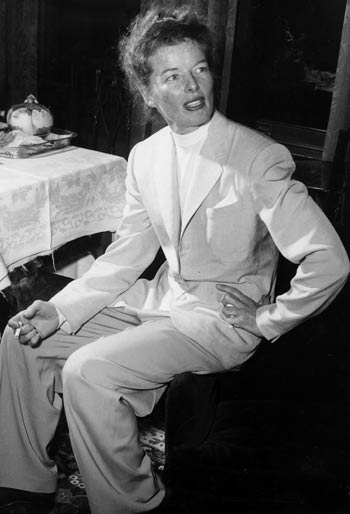 Another white tux, on Katherine Hepburn. 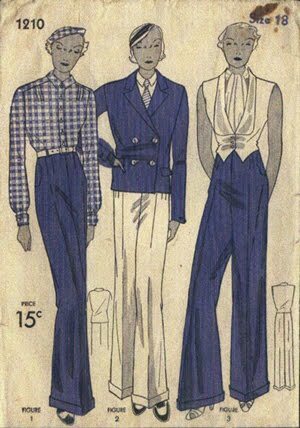 The Lady Tux had its Hollywood heyday in the 1930s, but its roots go all the way back to the beginnings of the 'menswear for women' trend that started in the Tudor period, which really gained traction in late 18th century. 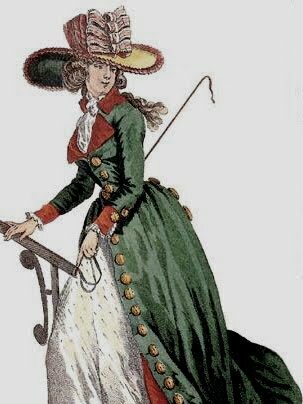 Before the late 1700s, only lady pirates wore men's clothing (in the Western world, anyway), except for the occasional masculine-ish equestrienne outfit worn only on horseback. 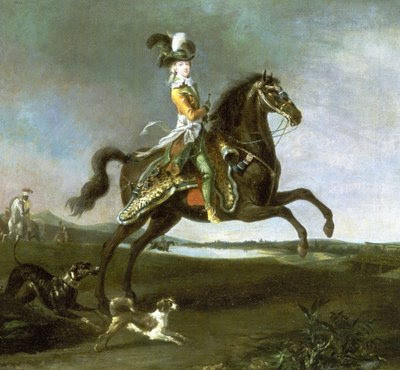 But Marie Antoinette, for all that she is remembered for her frilly, flowery, feminine wedding-cake dresses, was also scandalously fond of wearing menswear. 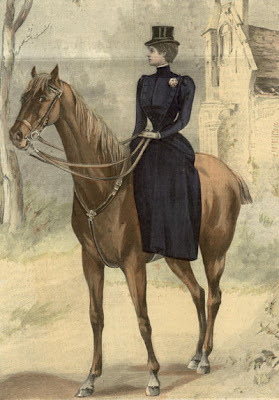 Not just women's clothing with 'masculine' details, but full-on breeches. She even had a short-lived anti-corset phase during her teens (gasp!). 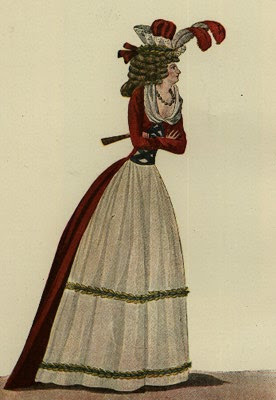 In the 1780s, she and her fashionable friends adopted mens hairstyles, and designed dresses, coats and hats modeled on tweedy equestrian English-style menswear. 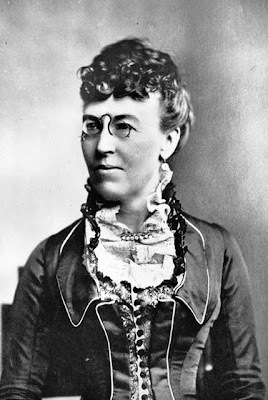 She spent astounding amounts of money on clothes, and made daring fashion choices throughout her life. 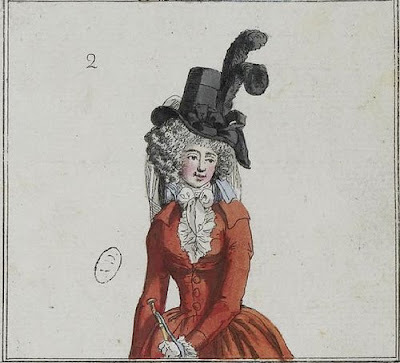 Her sartorial indiscretions were the major reason she became more and more unpopular with the French people during her time as Queen, and were one of the precipitating factors of the French Revolution. For more on this fascinating subject, read 'Queen of Fashion: What Marie Antoinette Wore to the Revolution' by Caroline Weber. Ironically, during and after the French Revolution, women throughout Europe adopted a menswear-inspired wardrobe that was very similar to the butch outfits for which Marie Antoinette had received so much crap just a few years earlier. The following outfit is from the same timeframe. It's a pivotal image for me, and the earliest really Lady Tux-like outfit I've been able to find evidence of. 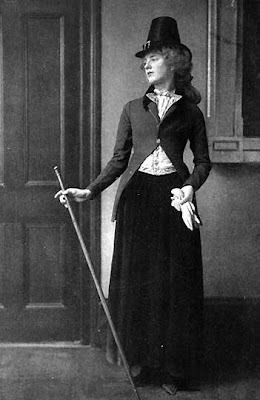 Before discovering this photo, I was never that into the 18th century fashion-wise, but seeing this made me really interested in learning about the period. It's from a book of photos of costumes from the collection of the Victorian and Albert museum, published in 1908. Throughout the 19th century, equestrienne wear had a definitely tux-like tone, and masculine details bled into daywear as well. 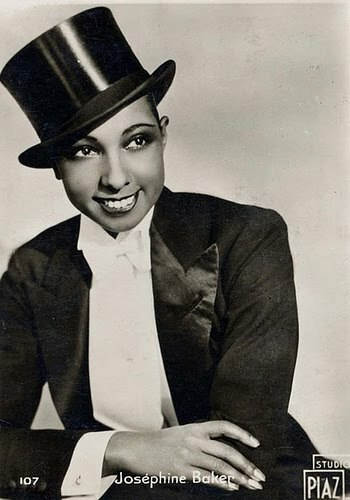 Ever since then, Lady Tuxes keep popping up in fashion, they're so classic that they're never really out of style. Yves Saint Laurent started designing tuxedos for ladies, called 'Le Smoking', in the 1960s, and they became a staple of his career. Dita Von Teese in formalwear, wearing a hat by Stephen Jones, 2008. Over the last few weeks, I've been working with my custom hat block maker on the design for full size top hat blocks. I should receive the first prototype block around the end of December, and then the rest of the set (so I can do a full range of sizes) a few weeks later. I can't wait, I'm positively squirming with excitement to add these to my range of hats. Oh, and your hats are gorgeous.